3 members of our crafts team, Hazel Dathi, Pikiswa Mahahshe and Tembekazi Qinga were on National Television (on the morning of Wednesday 25 May 2011) on SABC 3’s EXPRESSO breakfast show. Dave Barnes (WUCT Manager) picked them up at 4.00 am. Judy Lambrecht, the co-ordinator of the crafts for WUCT, also attended. The show started at 5.30am, and there was great excitement when they got there to find Evita Bezuidenhout was also a guest on the show. Judy and Anouk (of Congo Rose) were interviewed and spoke about the Trust’s partnership with Congo Rose in producing teddy bears made out of bits of fabric. 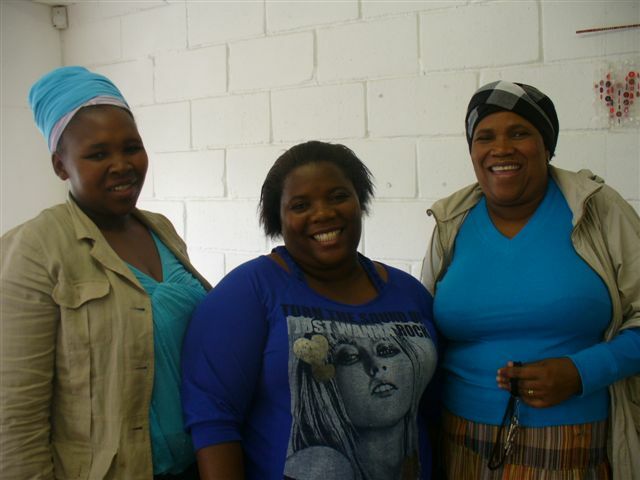 Then Hazel, Pikiswa and Tembekazi all spoke about their involvement and how working at the community centre has changed their lives. They were amazed by all the lights, cameras, etc – it was a wonderful experience for them. Afterwards Dave took everyone out to breakfast in Green Point. To read more on the Expresso website, click here. To view the video footage, click here.